The drug, which is based consists of two active substances nandrolone phenylpropionate and testosterone propionate. Preparation strengthens the bone tissue, has anti-inflammatory action, contributes to muscle strength, and extrusion. Suitable for the reception during the drying process. Provides the mass muscle of high quality, burn fat in the body. Suitable for the reception of women. The term of the detection in the preparation of blood is of 17 months, by what not is recommended take before the competition. In combination with other medications, you should consult with a specialist to choose the road right. Course dosage is 1 to 2 months. 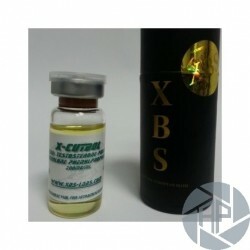 At this dosage for men of between 100 and 600 mg in 7 days, 50 women and 100 mg for 7 days. For people injections made in one day, two for women - every three days. The significant advantage is that the injection does not is often put. However, for exact dosage calculation, it is necessary to consult a doctor or specialist. Given that each organism, will achieve good results and avoid side effects and allergies. It is necessary to follow a diet that is rich in proteins and calories at the reception drug for the maximum effect was. Cannot bend the dose and take more time that the rate specified. The same can not be taken by pregnant or nursing women before conception. As ladies of 18, because that time in the Corps formulated bone. Not is recommended if there is sensitivity individual to the drug and the contraindications. If you are a beginner, you should consult a doctor before the course. Start the course with the dose lower required, with what little by little to work. Judging by the positive feedback that athletes write, you can see the high the efficacy of the drug. Those athletes that come since them athletes need to improve the performance of speed and power, with the exclusion of the gain of weight. The drug is very schadno in the body effect and is safe for use with other drugs. Muscle dry and there is a lack of side effects. For a very decent price, the athlete can get the drug, which will allow significantly improve the results of the training. Judging by criticism, it can be argued that the drug is very high quality and efficient. Its ideal for all those categories of athletes, from beginners up to professional. You can use even those women without harm to their health. It combines perfectly with other Anabolics; combined courses are not a rarity. In turn, that allows you to further improve the reception of the results. To dose too high can have effects harmful in the body. It can be like headaches, dizziness, disorders of the gastrointestinal tract, liver toxicity, kidney, rashes on the skin, acne, increased activity of the sebaceous glands, loss of appetite, liver damage, disorders of reproduction of the functions of the body of both sexes.